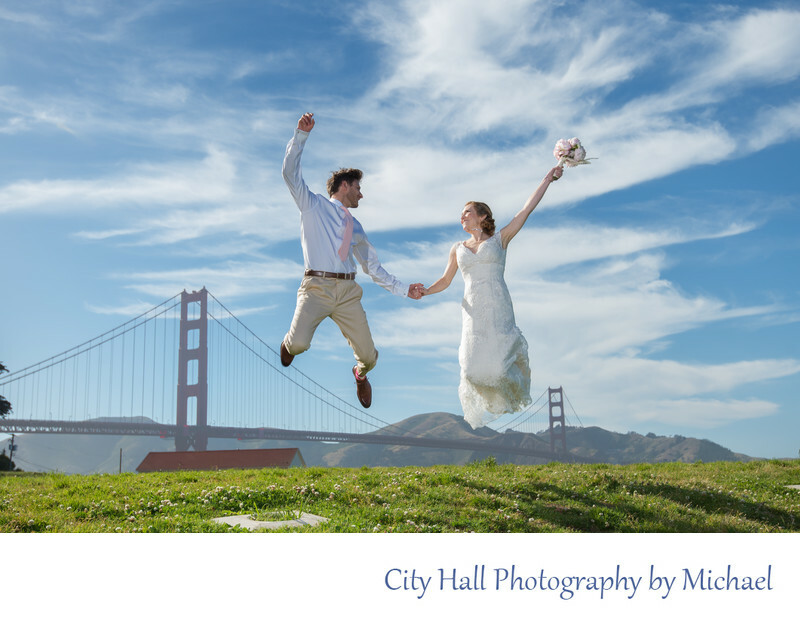 We took this couple to Crissy Field because they wanted a nice photo in front of the Golden Gate Bridge. It was a picture perfect day with ideal weather and very clear. We put them up on a little mound by the water and took a series of wonderful shots of them posing in front of the bridge. We ended the shoot with a jumping shot. I got down low so I could get the angle seen here. I was hoping that they would get enough height to be above the bridge. The result was perfect! It almost looks they are jumping over the Golden Gate Bridge. Great job by this city hall bride and groom!